We left Warsaw yesterday with our spirits energized after spending 5 days with Viola Majewska and her colleague Marta Walkowska. I have been extremely inspired by these strong women who have such big and open hearts. Viola’s determination and tireless energy is simply remarkable. I watched her work with children who have all types of disabilities. She truly has a gift and is meant to do what she is doing. I saw one young girl who had epilepsy come alive as Viola gently helped her on a horse and led her around the field. There was a connection between the three of them – Viola, the girl and the horse that I cannot convey in words but hopefully my imagery will. For five days I watched Viola work with the children, care for her horses and a host of other animals that she has given a home to. If I had to define the word “passion”, I would use Viola as the prime example. She is much more than a hippo therapist, rather more like combined therapist, friend and confidant to these children with needs and their parents. Marta is a volunteer at Viola’s foundation. She had a good job working at a public relations firm in Warsaw, but she felt that she needed something else in her life. 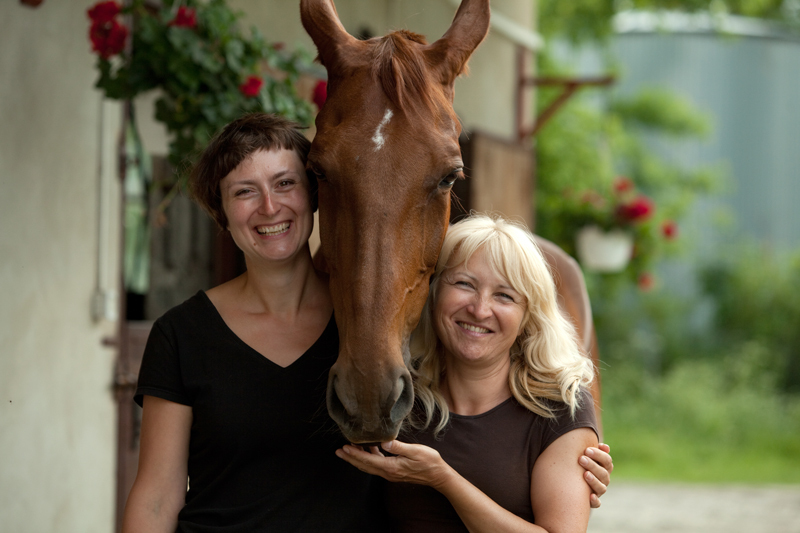 In searching for a stable where her daughter could take riding lessons, she met Viola. She started volunteering and helping with whatever was needed around the stables and she soon realized that this was what was bringing fulfillment and happiness to her life. With the support of her husband and two young children, she left her job and now volunteers at Viola’s foundation on a full time basis. Erin and I quickly became quite fond of these two remarkable women and they renewed our faith in the goodness in people. Viola’s strength was an inspiration to me and I could barely fathom how someone who had lost a child tragically could channel their grief into helping others. And Marta’s generosity and kindness will never be forgotten. After spending less than a week with these two women, I knew that our intent and focus for this film was well placed. That there are many people, all throughout the world, who are making it a better place with their drive, spirit, courage and commitment, and if we can shine a light on even just a handful of these people – we can inspire others by example. 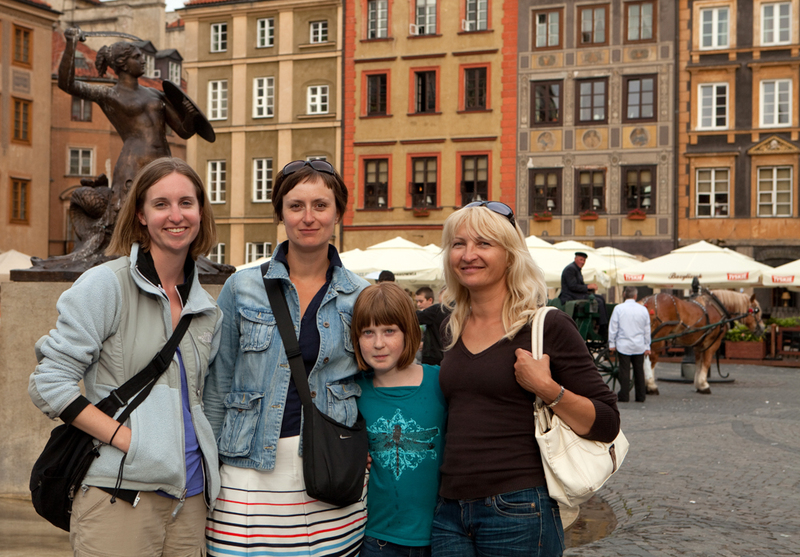 We left Warsaw reluctantly, but renewed in spirit and with our hearts full. This entry was posted in People Making a Difference, Philanthropy, Travel, Video and tagged around the world, daughter, documentary, extraordinary people, helping others, inspiration, mother, passion, People Making a Difference, responsibility, Travel, video, volunteers. Bookmark the permalink.